Juventus veteran central defender Chiellini suffered a muscular problem during Saturday’s Serie A goalless draw against SPAL. Italy chief coach Luigi Di Biagio on Sunday called up West Ham United defender Angelo Ogbonna for the upcoming football friendly matches against Argentina and England to resolve the possible absence of Giorgio Chiellini due to injury. Juventus veteran central defender Chiellini suffered a muscular problem during Saturday’s Serie A goalless draw against SPAL, reports Efe. “While awaiting medical test results on Giorgio Chiellini, DiBiagio has called up Angelo Ogbonna of West Ham United,” the Italian national team said on Twitter. Following the SPAL match, Juventus reported that Chiellini suffered pain in his leg and would undergo medical tests. 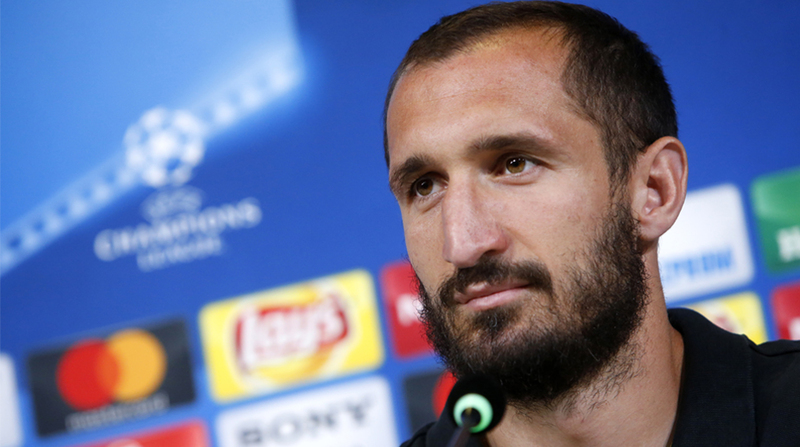 At a press conference on Saturday, Juventus coach Massimiliano Allegri had already anticipated that Chiellini would likely stay in Turin to recover, and would not travel with the Italian national team. Italy are set to play Argentina at Old Trafford stadium in Manchester on March 23 and will face England at the Wembley Stadium in London four days later.